Did you know many cultures around the world have specific traditions, foods, and customs when it comes to celebrating New Year’s Day? Some of these traditions are believed to ward off evil spirits and to bring a year of good health, longevity, happiness, and prosperity. In the southern United States turnip or mustard greens are often prepared on New Year’s Day because they symbolize money, and black eyed-peas symbolize prosperity because they swell up when cooked. 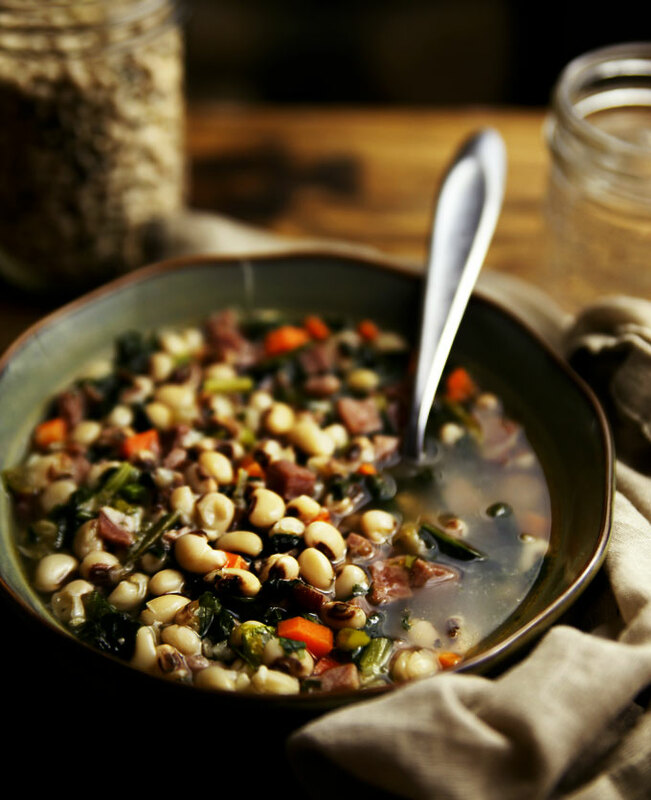 I love a good soup recipe, and today’s Black-Eyed Peas soup recipe is believed to bring good luck in the New Year. 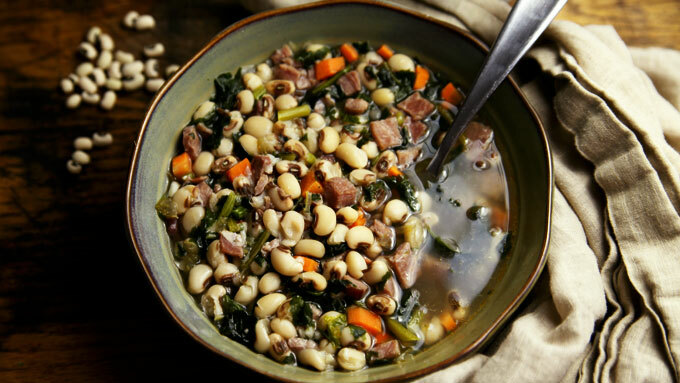 Made with onions, carrots, celery, ham, black-eyed peas, and mustard greens, this healthy winter soup will keep you warm and satisfied all season long. 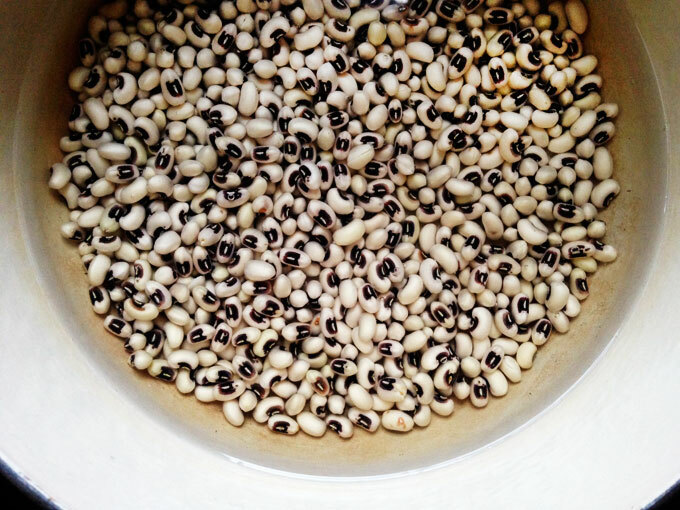 Black-eyed peas are actually a legume. When preparing this soup it’s best to soak the peas for at least 8 hours or overnight. However, you can easily prepare this soup without soaking in a slow cooker, which is great especially when celebrating New Year’s Eve all night. The next day you can add the ingredients to a slow cooker in the morning, and by late afternoon have dinner ready. Cooking bean soups in a slow cooker is particularly nice when families have a day off and can leisurely enjoy a bowl at will. Although I am not superstitious and don’t believe in ‘lucky foods’, I do know this soup is delicious and worthy of a try. You might get lucky and discover a new family meal to enjoy throughout this New Year.